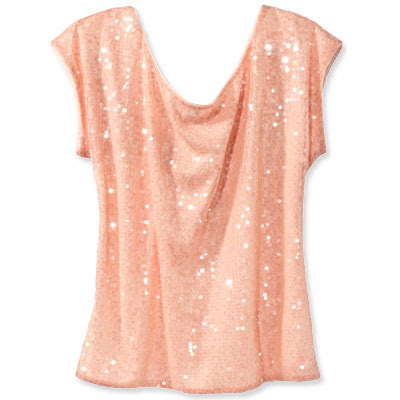 it's jazzy ... thanks to the shimmery sequin! But I'm bummed. After searching the highs and lows for this beautiful top in efforts to buy—I was unsuccessful locating the shirt—couldn't find it anywhere on express.com (information via InStyle). And so, I contacted InStyle for the style number. Hope you can track it down!